Halloween is becoming more and more popular now in the UK - and we certainly don't need an excuse to make more Cupcakes! 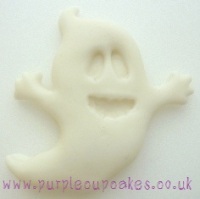 Use our range of Halloween Cupcake Moulds to decorate your cupcakes with cats, witches, skulls, ghosts and pumpkins! 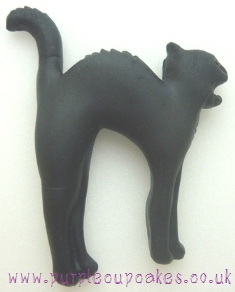 Approx size of finished cat is 50mm. Use sugarpaste with Gum Tex added, or Florist Paste for best results. Also ideal for modelling chocolate or marzipan.